3 Bedroom Apartment To Rent in London for £11,916 per Calendar Month (Calculated). 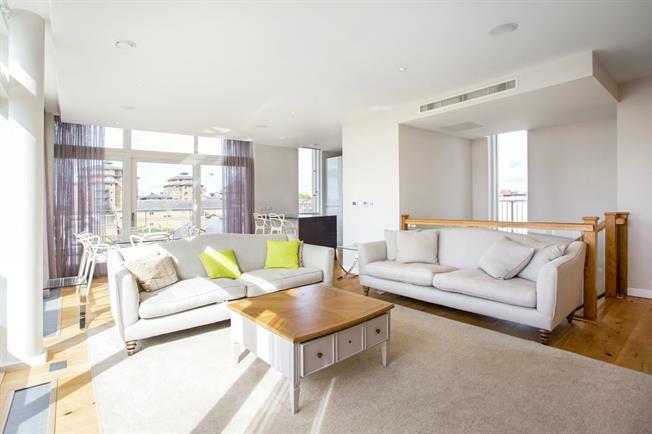 WATERSIDE - Short Let All Bills Inc A new modern three bedroom duplex apartment with beautiful roof terrace on the top two floors of this exciting waterside development in Maida Vale. On one floor the apartment has two double bedrooms (one en suite) both overlooking the canal. There is a further family bathroom finished to an excellent specification. Upstairs there is a large open plan reception room with modern fitted kitchen and doors onto a decked roof terrace. There is a further bedroom with en suite bathroom. The apartment has wooden floors throughout and is wonderfully bright with large windows allowing in an abundance of natural light. Amberley Waterfront is a new development in Maida Vale, ideally located next to the Grand Union Canal. It is close to excellent transport links including Warwick Avenue, Royal Oak and Westbourne Park tube stations. In addition it is less than two kilometres from Paddington Station, home of the Heathrow Express and major National Rail links. A incredible roof terrace with fantastic views.